This is the story of a city that shouldn't exist. In the seventeenth century, what is now America's most beguiling metropolis was nothing more than a swamp: prone to flooding, infested with snakes, battered by hurricanes. But through the intense imperial rivalries of Spain, France, and England, and the ambitious, entrepreneurial merchants and settlers from four continents who risked their lives to succeed in colonial America, this unpromising site became a crossroads for the whole Atlantic world. Lawrence N. Powell, a decades-long resident and observer of New Orleans, gives us the full sweep of the city's history from its founding through Louisiana statehood in 1812. We see the Crescent City evolve from a French village, to an African market town, to a Spanish fortress, and finally to an Anglo-American center of trade and commerce. We hear and feel the mix of peoples, religions, and languages from four continents that make the place electric-and always on the verge of unraveling. 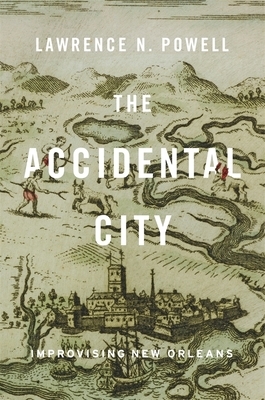 The Accidental City is the story of land-jobbing schemes, stock market crashes, and nonstop squabbles over status, power, and position, with enough rogues, smugglers, and self-fashioners to fill a picaresque novel. Powell's tale underscores the fluidity and contingency of the past, revealing a place where people made their own history. This is a city, and a history, marked by challenges and perpetual shifts in shape and direction, like the sinuous river on which it is perched. Lawrence N. Powell holds the James H. Clark Endowed Chair in American Civilization and is Director of the New Orleans Center for the Gulf South at Tulane University.